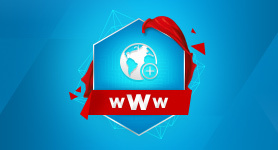 Afrihost takes top honours for the THIRD year in a row! 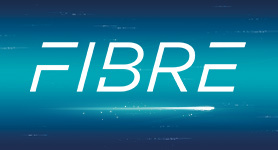 We've broken all the records by clinching the MyBroadband Conference ISP of the Year Award for the third year running! 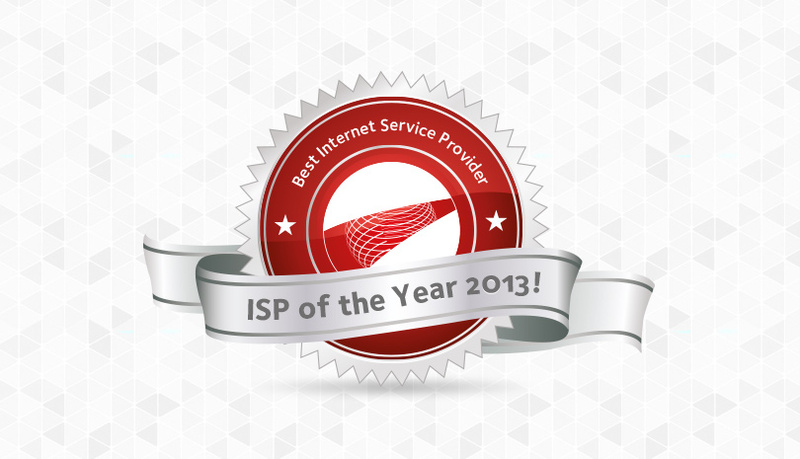 No other ISP has ever won the award three times, let alone three years in row! The award is a welcome recognition of an extremely successful year for us. 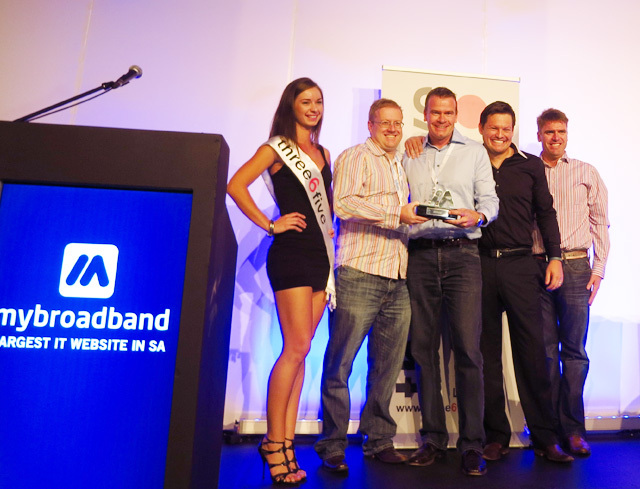 We made a clean sweep of the 2013 awards by winning not only the ISP of the Year, but also IT Personality of the Year for our charismatic CEO Gian Visser, and best Company Representative on the MyBroadband forums. The accolades belong to the entire Afrihost Team, whose team work and pursuit of excellence have made these achievements possible. We successfully migrated our DSL network onto MTN, boasting much more capacity and local network infrastructure. The improved speeds and low latency performance attracted many new clients onto our broadband network. 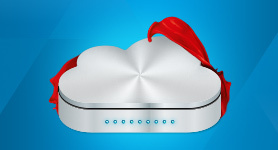 Our introduction of transparent and dynamic shaping, over traditional Uncapped throttling, made our all-you-can-eat style internet a very attractive option. We then enhanced our Business DSL products by offering guaranteed unshaped bandwidth 24 hours a day, along with attractively priced bundles, which perfectly suit small to medium enterprises (and as well individuals looking for an Unshaped Uncapped solution). We further cemented our leading position by dropping our Capped DSL prices by up to 60%, offering DSL from less than R4 per GB. The jewel in our crown is undoubtedly our new Mobile Data offering, which has created a lot of buzz on the internet and on the airwaves. Although we did not win a prize in the Mobile Broadband category (the only eligible category we did not win in this year) we definitely have our sights set on next year's award. The real winners will always be our loyal clients, whose continued support has spurred us to go further to provide the very best service and products. We humbly accept the awards with a promise that we will continue to strive to offer a unique and amazing experience to all our clients. I am a new client and I feel so safe in your hands! Winners have one tendency- to win. Rub on your winning spirit upon all you touch. I am inspired already. Wow! Congratulations Afrihost! You truly deserve the record! You guys seriously are the best! As a power user, I know that sometimes there are issues but you guys always fix it and create the best possible experience for us! You guys deserve the awards that you are receiving. You caught my attention when you offered hosting for R9 and your Uncapped offering clinched your spot as my preferred supplier. Clientzone, your support, Twitter support and the emails from Gian, just make you know you matter to these people and that is why I will still be with you in years to come. Congrats guys! You are the best. Keep up the good work. You have the best services! Whatever is it that you are doing, don’t stop because we love it. I am very proud to be your client. Congratulations! I’ve had many a ISP provider and have never had such impeccable service from any of them. Afrihost is light years ahead of any company regardless of business type and I hope never to leave. Keep up the excellence. Well done! You guys absolutely deserve it! I’m just sorry I didn’t discover you sooner. Congratulations Afrihost! You truly deserve the awards. You guys are the best service provider by miles. Keep it up! Congrats! I did not expect anything less. Afrihost is the best and believe me, I’ve been around the block a few times with different ISPs and you guys are just the best. There are problems from time to time but the difference is, you deal with them while the rest ignore it. Gian, to you, a big congrats because of your character, leadership skills and the example shows in the way we as clients are treated by the Afrihost team on all levels! Guys, you rock! Well done guys. Keep it up! Keep doing what you doing and all should go well. Congrats and well done! I am so happy you guys won… again! Your service is exceptional. I am so happy you are finally offering Mobile Data to clients. I work for a small IT business and we refer all our clients to you. I can’t believe I have been with you guys for more than 3 years and I never had any problems. Very satisfied client. Awesome! Awesome! Awesome! It’s because of MyBroadband that I learned about Afrihost three years ago to even begin with. Amazing! The win is surely contagious because i feel like i’m a winner myself for having Afrihost as my ISP. Well done! Congrats guys ... Well done. Joined Afrihost back when they introduced the R29/Gig and competitors screamed “not sustainable”. Watched the company grow from strength to strength and because of their dedication to us, the end users, I’ve remained through the growing pains (with Afriman on board with his superhero resolutions, who wouldn’t). Well deserved to the entire team, you are light years ahead of all your competitors combined. 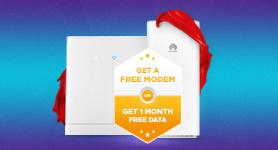 Afrihost is the best ever internet joy in South Africa , I connect 24 hours and my wife can connect too. 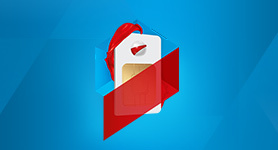 Love, life and enjoy with Afrihost, the best of the best! Congrats guys. My only regret with Afrihost is that I didn’t use your services from the first day I got internet. Keep up the good work. I have been a client for the last 3 to 4 years. You guys diverse it. Loving your work. What more do you expect from the best! I am a system administrator based in Polokwane, I have referred many people to you, all they have said to me was just"wow”. Your services are of a high standard and you really deserve this. You’re the best in the market. I joined this month. An absolute joy from the very first second I went onto your website. Everything works and it is fast as well! Truly worth the award! Congratulations to a well deserved award ! Congratulations guys! We do not regret our move to Afrihost. We are extremely happy with your services and I trust that our relationship will last a lifetime. I don’t think anyone could do a better job. 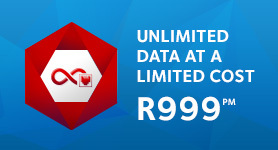 Well done Afrihost! 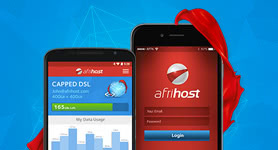 Congratulations Afrihost! Well Done. Keep it up.